Thanks to 20th century trailblazers Eero Saarinen and Alvar Aalto, Finnish architecture has an international reputation. Clean lines and functional design remain a hallmark of Finnish architectural style, but surprisingly few women have made their mark. Second generation architect Caterina Casagrande is building on the tradition of Finnish architecture – and doing it her way. Arkkitehdit Casagrande, an architectural agency based in Turku in southwestern Finland, is an anomaly in its field. thanks to effective design solutions, which ensured that the 46-square-metre two-bedroom units met the buyers’ needs, while the compact square footage kept the prices affordable. stage by adopting the Building Information Modelling (BIM) system. “Having a three-dimensional representation of the project has helped us find creative solutions in a cost-effective way,” Casagrande explains. The system has also supported projects that rework historic structures with modern architectural solutions. Turku’s historic centre, Casagrande has completed several restoration projects herself, including the building that houses the company’s offices. 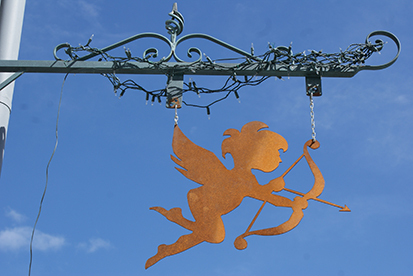 Casagrande renovated the entire space but kept the original angel ornaments that used to grace the entrance of the building’s previous occupant, Enkeliravintola (Angel Restaurant). “The space now serves a new purpose, but the angels remain,” Casagrande adds, proving that functionality can take the lead without sacrificing a sense of place.